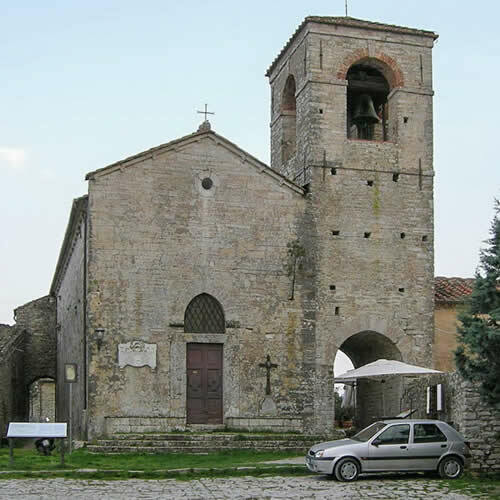 From the village of Monsummano Terme all you have to do is look up to observe the grandeur of the hill of Monsummano Alto, and the three architectural elements that distinguish it: the Church of San Niccolao in the center, the tower on the left and the remains of the Arch on the right. 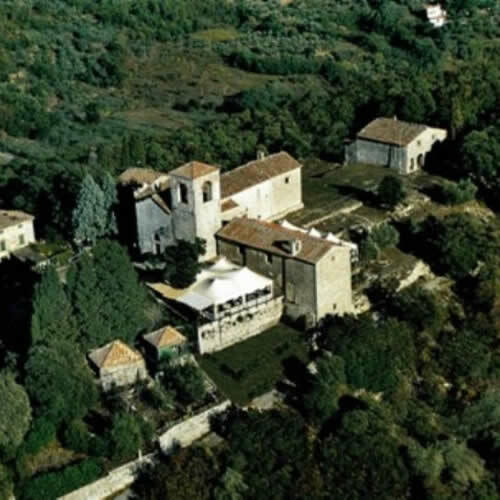 Located on the top of the hill, at 340 meters above sea level, they are the best preserved remains of the ancient fortified medieval village, whose walls are mostly collapsed or covered with vegetation. 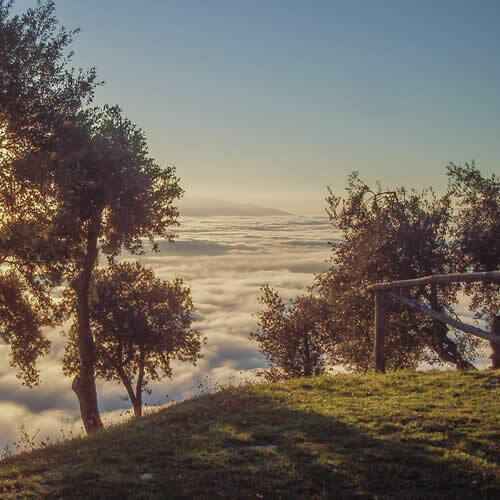 You can reach Monsummano Alto very easily from Monsummano Terme, driving on an uphill road of about 2 kilometers, which for the most part is hidden from the surrounding landscape, given the large amount of trees and vegetation that follow the path, which winds up on West side of the hill. 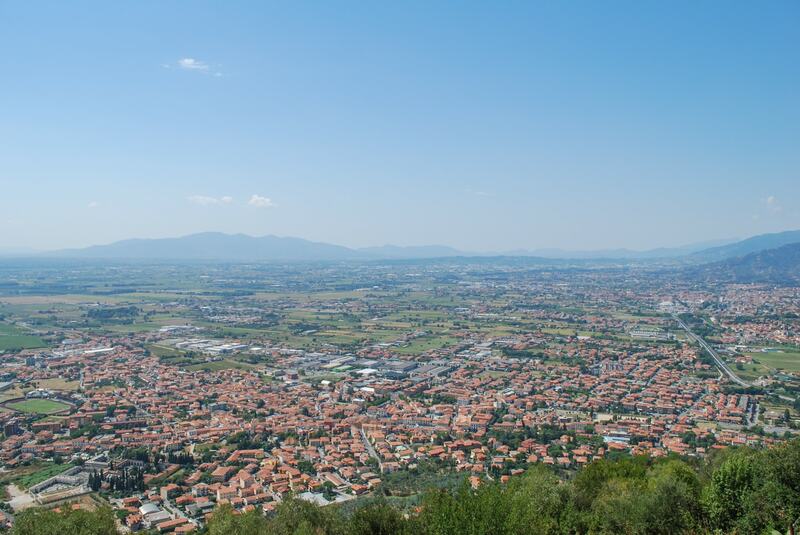 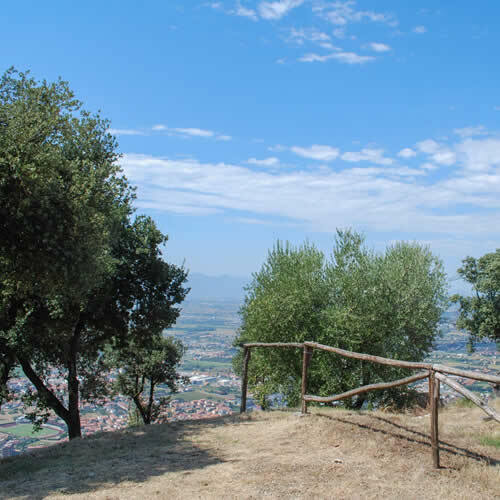 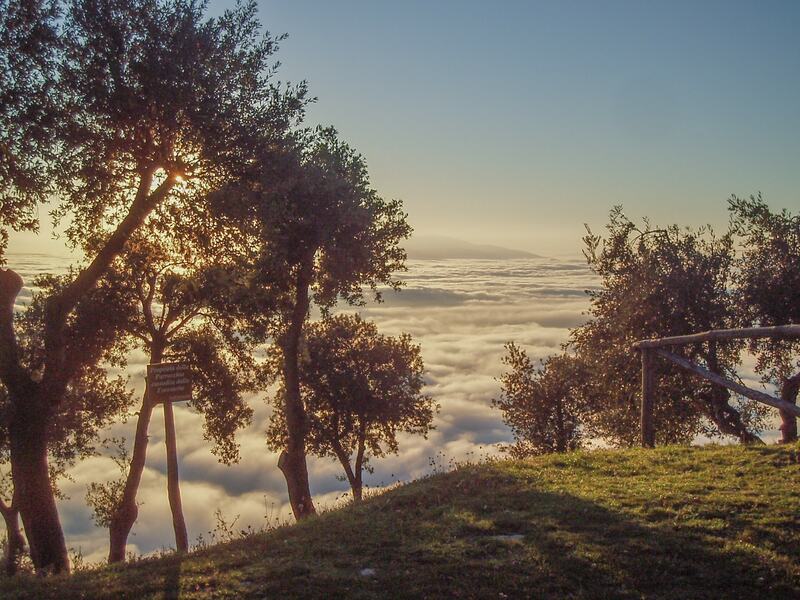 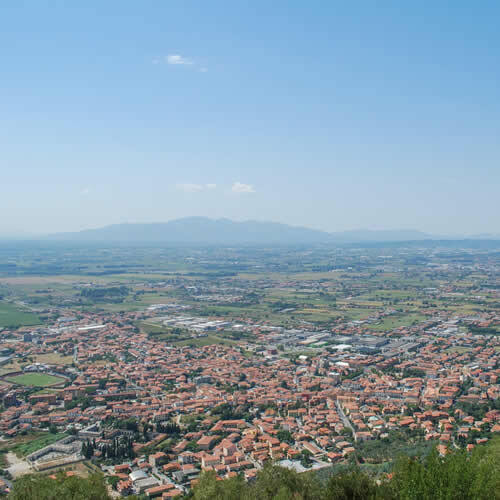 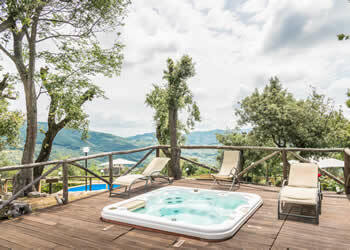 Once you have almost reached the top, at the gates of the village, where the old pentagonal watchtower stands, you are rewarded with a breathtaking landscape on the Valdinievole and on six of the ten provinces of Tuscany. 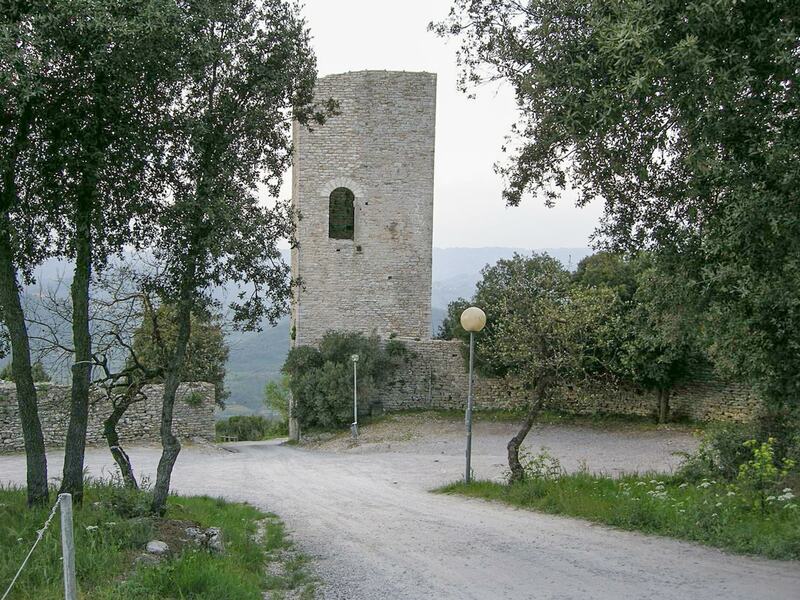 Immediately after going past the tower you are in the perimeter of the old fortified walls. 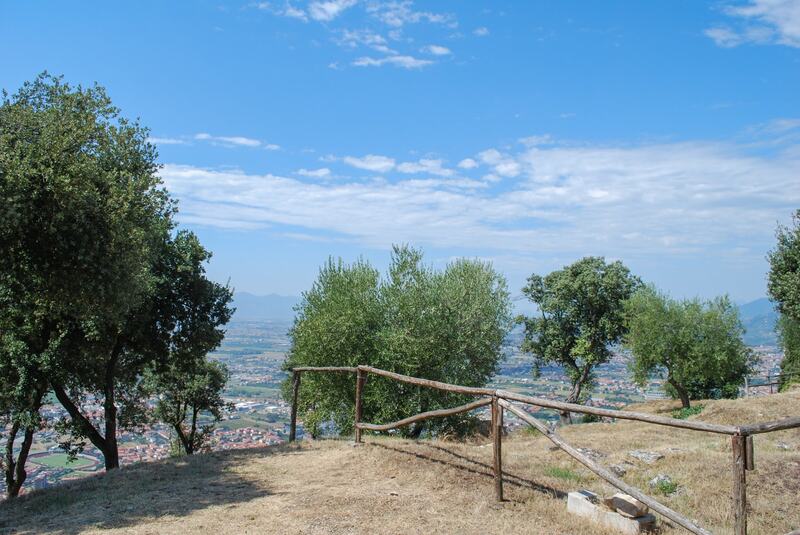 On the right a beautiful lookout is the ideal observation point. 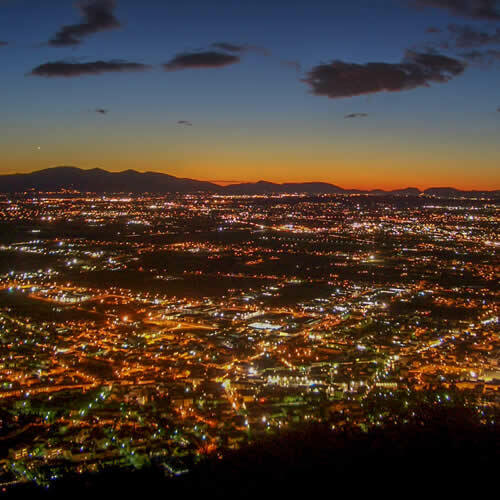 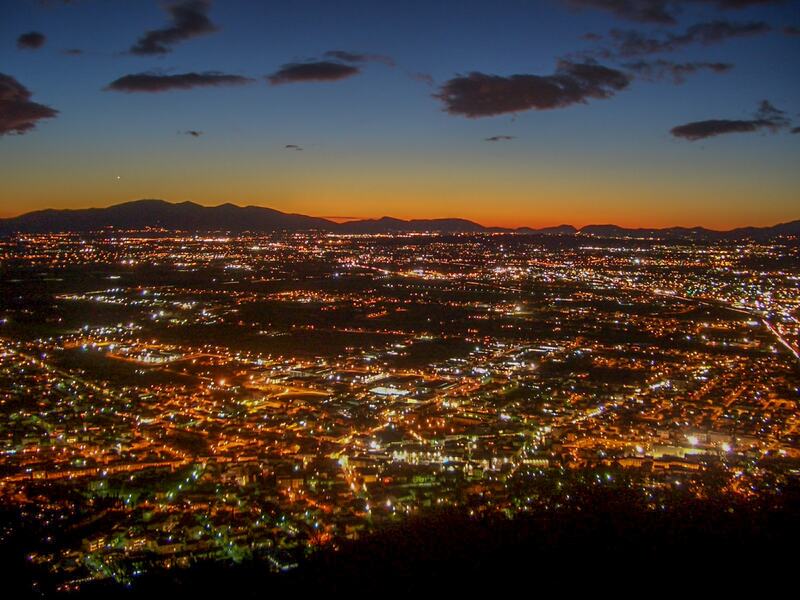 The landscape and the life of the cities are just below us, but their noise does not come up here, like in an old silent film, giving us an atmosphere of almost total relaxation. 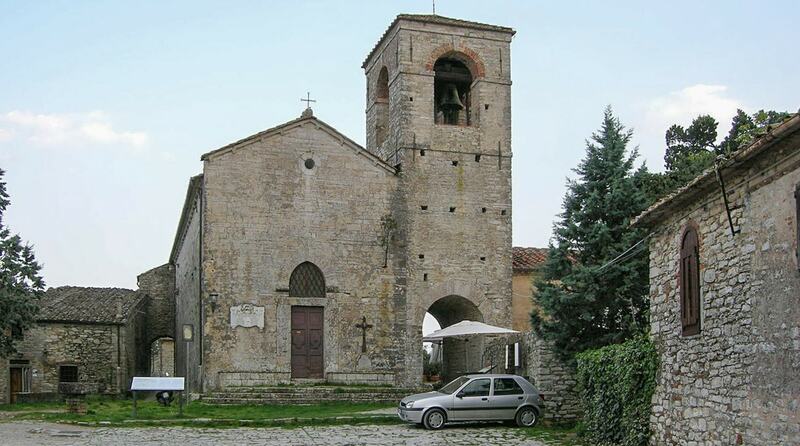 From there the road becomes a stone path, exactly as it was in the thirteenth century, and – with a last straight uphill stretch – it takes us up to Piazza Castello, the small village square (where you can park the car) and where the Church of San Niccolao, in Roman-Gothic style, is located. 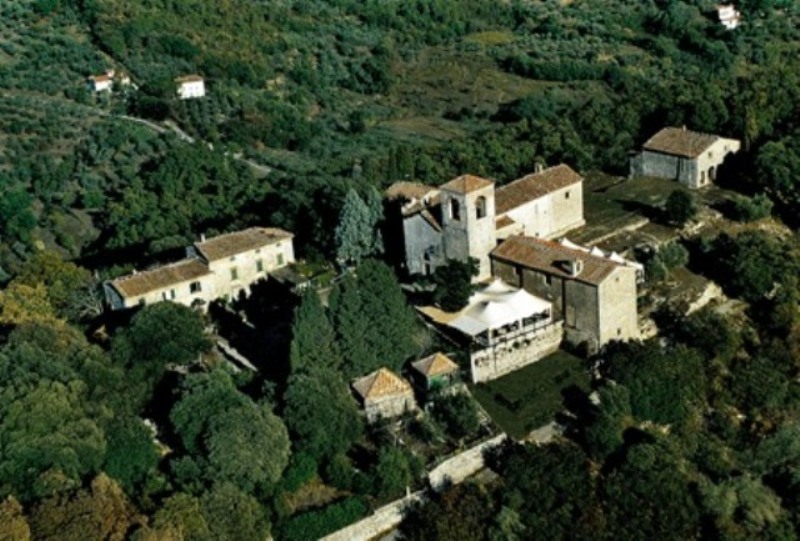 On the right of the church you can find the ancient “Foresteria”, now converted into the “La Foresteria” Restaurant (visit page) with a large dining room that overlooks the panorama. 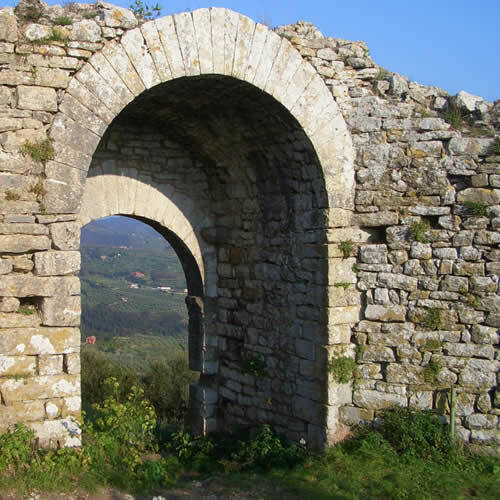 On the right side of the church there is also a stone arch, which invites you to walk through – on foot – to go to the Eastern part of the village. 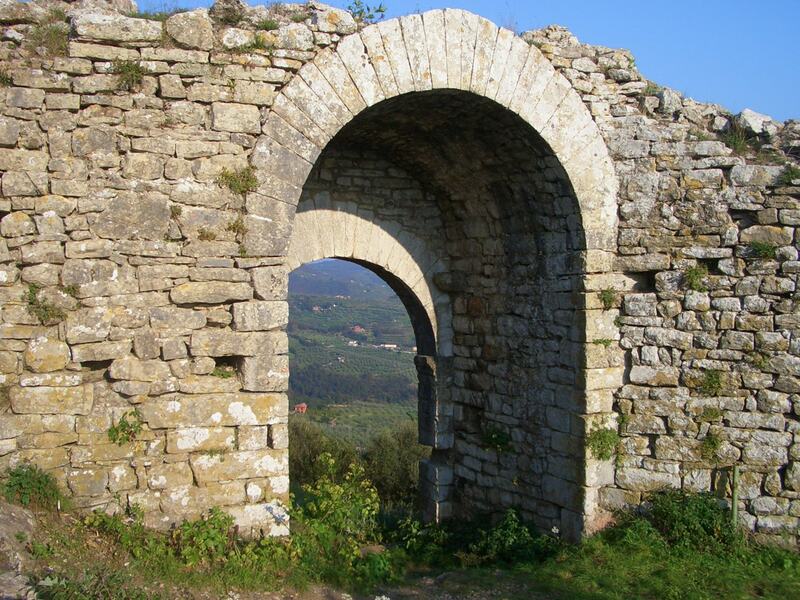 Beyond the arch you will find the entrance to La Foresteria Restaurant, and 50 meters straight ahead, Villa San Bastiano (visit page). 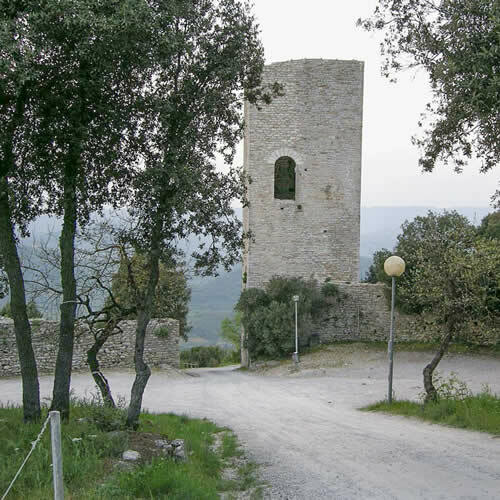 Further on, the path begins to descend, until you reach the opposite side of the ancient village, of which some parts of the walls remain and the well known Arco, the so-called “La Porticciola”.